Taiwan and the U.S. are strengthening their diplomatic relations by re-visiting and modifying the 1980 Agreement on Privileges, Exemptions and Immunities. The modified agreement is anticipated to avoid previous disputes over the execution of the agreement. Major progress has been made in talks between Taiwan and the US on amendments to a bilateral agreement on privileges and immunities for diplomatic staff, Taiwan’s deputy representative in Washington said on 27 September . “Negotiations have been proceeding smoothly for our diplomatic staff in Washington to enjoy the same personal immunity that is extended to US diplomatic allies and to give conditional immunity to the heads of our representative offices in other US cities,” said Leo Lee (李澄然), deputy representative of the Taipei Economic and Cultural Representative Office (TECRO) in the US. Barring any unexpected developments a modified pact on privileges, exemptions and immunities between Taiwan and the US is likely to be signed by the end of this year, Lee said. The two sides currently have an Agreement on Privileges, Exemptions and Immunities that was signed in 1980. Disputes over the execution of the accord emerged last November when Jacqueline Liu (劉姍姍), then-head of the Taipei Economic and Cultural Office (TECO) in Kansas City, was arrested by FBI agents on charges of labor contract fraud as well as the mistreatment of her two Filipino housekeepers. Lee said the two sides have since begun a review of their existing diplomatic immunity pact. Earlier this month, a Taiwanese supra-ministerial delegation traveled to Washington to discuss various amendment proposals with their US counterparts and major progress was made in the process, Lee said. “The two sides have reached consensus on 90 percent of the provisions in the modified agreement and a new round of formal talks is expected to be held in a month or two,” Lee said. The key point in the talks was whether Taiwanese diplomats are entitled to personal immunity as defined in the Vienna Convention on Diplomatic Relations and the Vienna Convention on Consular Relations, Lee said. “We are pushing the US to grant our diplomats at the TECRO the same treatment it extends to diplomats from countries with which it has formal diplomatic ties,” Lee said. Under the Vienna Convention on Diplomatic Relations, diplomatic personnel at the embassies of US allies cannot be arrested or prosecuted on US soil, TECRO officials said. 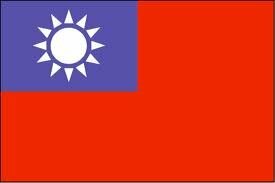 Taiwan is hoping that the directors-general of its representative offices in 13 other US cities will be granted conditional immunity in line with the Vienna convention, the TECRO officials said.